Ole Gunnar Solskjaer has called on his Manchester United side to rise to the occasion in Tuesday night’s Champions League quarter-final second leg against Barcelona. United return to the scene of arguably the club’s greatest triumph trailing 1-0 from last week’s first leg at Old Trafford. Luke Shaw’s own goal has a Barca side unbeaten in their last 30 home games in the European Cup in pole position to reach the semi-finals. But after seeing his side approach last week’s game in too passive a manner for his liking – playing a part in United’s failure to force Marc-Andre ter Stegen into a single save last week – Solskjaer wants his men to get into the faces of the Spanish champions. 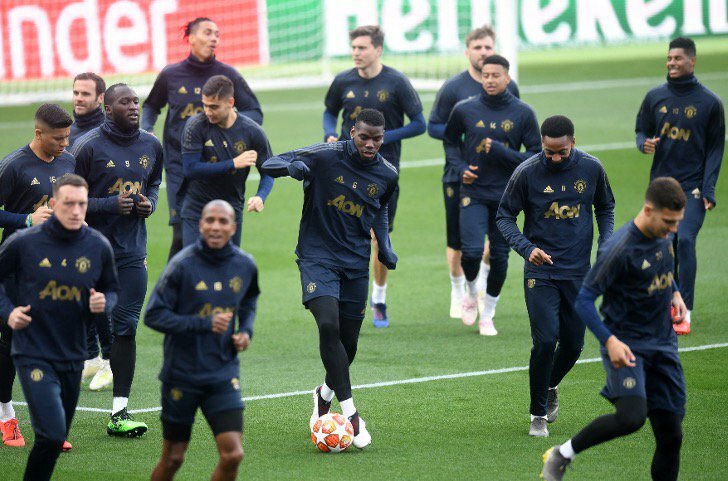 Solskjaer wants his side to leave no stone unturned as they seek to replicate last month’s shock comeback against Paris Saint-Germain. But the United boss is also wary of going in all guns blazing against Lionel Messi and co.
“Your decision is do we go and chase it and open up, and give them a chance for the second goal, because they were looking like they were playing through us,” said Solskjaer, speaking to BT Sport. “Or do we wait, okay we’ve got 90 minutes and if they want to do that at the Nou Camp and when we get a goal then suddenly were in the driving seat and as away goals count so much. The showdown in Catalunya is the biggest test of Solskjaer’s tactical acumen thus far. Keeping things tight and playing on the counter, using United’s speed and athleticism on the break has worked in a number of away games under his stewardship thus far – notably Paris, Spurs in the Premier League and at Arsenal and Chelsea in the FA Cup. But against a Barca side already leading and so comfortable in possession, Solskjaer knows he has little margin for error.